Best wireless gaming routers is one that can help you dominate your challengers and win more. It’s not cool or flashy like gaming chair or headset. However they are still important gears in your arsenal. Indeed, wrong one can lead to lag and frustrating head-banging gaming sessions. 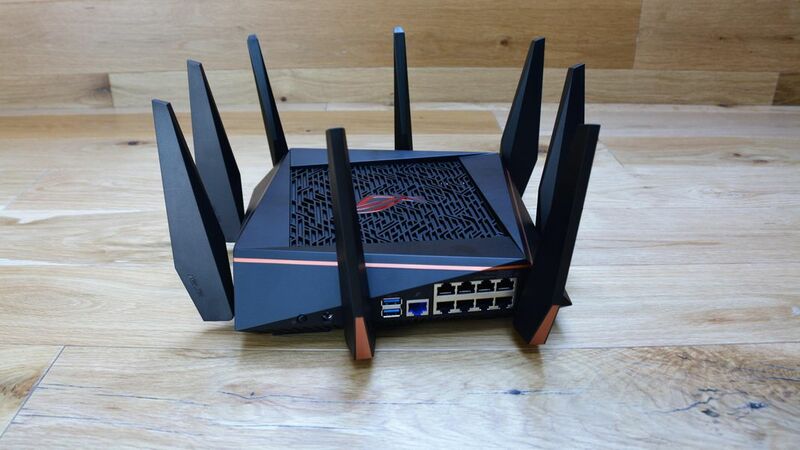 So we’ve scoured internet for best wireless gaming routers for your convenience and sanity. 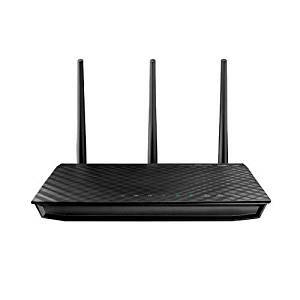 These routers are handpicked for best performance at competitive price. Therefore, even with shoestring budget, or with cash to burn, you will get something here to optimize your gaming performance. Modems and routers are often used interchangeably, however they are different. Modem connect you to your internet service provider (ISP) and allow you to play online games. In contrast router doesn’t let you communicate with your ISP, it rather splits your internet connection between different computers, either by wire or wireless. Now, combo routers are common, that allow the function of both, modem and router as well. So without further ado, lets get into what make makes a good gaming router. Downloading latest version of Walking Dead and your internet connection becomes pithy standstill. A modem only divide how much speed every computer depending on how much data being used. 30 GB of files needs more speed, therefore your modem will provision more to give it a fastest speed possible, leaving remaining users with extremely lazy connections. However a QoS enabled modem can prioritize applications like games or internet browsers over downloading larger files or video watching applications. Resulting latency or ping to be low, that means smoother and faster gaming, even when others at downloading their heart’s content. A gaming router is QoS enabled, therefore unless you are buying used, you never run into such problem. Besides QoS enabled thing, you must also ensure there are sufficient Ethernet ports on your gaming router. Frustration never start to describe how it feels trying to play game over wireless network, connection will be terrible, team will start hating you, and your Kill to Death ratio or KDA will be laughable by even newest gamer. Even only a meter away from wireless router, still there be some delay between your PC and router. Remember only few milliseconds can contribute to higher latency. Therefore for best possible speed make sure gamers can plugged in through Ethernet link. Since inception, wireless networking has seen many changes in terms of each frequency allowing higher and higher speeds. IEEE 802.11ac is newest standard that promises more stable connections and greater speeds. Most if not all modern routers can support this configuration, however you will also need 802.11ac-compatible hardware in order to make most of it. Another new feature of modern routers is dual-band Wifi, which means router can transmit on 2 different channels simultaneously, thus giving more wireless capacity. Although this feature isn’t strictly limited to gaming, Dual-band is useful for bigger families with simultaneous users. Multiple connections in router slow down everyone’s speed, therefore dual-band WiFi can resolve such issues. So we have covered dos and don’ts of selecting best gaming router, it is time to dig into those already rated by others in gaming world. Although slightly spikey, its look cool and futuristic. This spaceship inspired gear gives highest speeds and great performance. With AC1900, you can simply crush your challengers and win all games. Thing that makes it favorite, is its capability to control your home network by voice commands. This will end all types of mischievous ideas, however it does not respond well to bad words or expletives. It allow easy toggling between many wireless options with no fiddling with firmware of router. Going inside the hood routers can become big pain in posterior, therefore this one is welcome addition. Brain inside AC1900 is 1 GHz Dual Core Processor which supports speed of 600 + 1300 Mbps. You will have enough horsepower to share your files, without facing unwanted lag and bottlenecks. It’s easy to setup, no annoying manuals or menus to figure out. You can even do this on your mobile device through Netgear’s Up App, it’s fantastic! 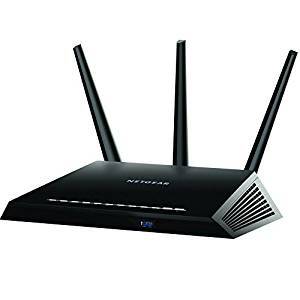 Bring this bad boy home if you won’t settle for anything but best in Wi-Fi connectivity as well as aesthetic design. Again from Netgear it looks as spaceship gear. Its super high connectivity speed put a stop to intra-house complaints on who is hogging connectivity forever. All your roommates will enjoy 4K/HD videos and online gaming at the same time with its 3×3 data streaming and 6 high performance antennas. Inside, you will see 1Ghz dual core processor that supports blazingly fastest speed. This processor comes with all goodies, like Smart Connection Feature which allocates best possible band for optimum WiFi performance. It has QoS traffic optimization as well as advance security features to support WPA/WPA2 encryption to offer safe home networks. Getting started with DIR-890L/R is breeze with its easier installation as well as network management software. No need to remember passwords, ip address and subnets to change few simple stings. It can be accessed remotely through mobile app which can be downloaded without any cost. AC Smart Beam feature keeps an eye on connected devices across your house; no more losing your mobile phones! I never like to sound like your mom, however this one is more sensible than last 2. Robust, affordable and simple. The best part it features classic design with enough performance under hood to recommend it to anybody. It has a huge array of handy features like wealth of Ethernet ports and concurrent dual band transmission for most reliable and fastest performance. 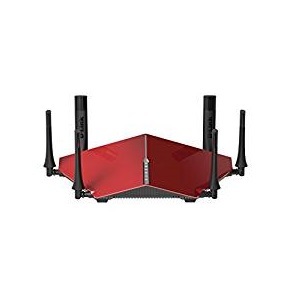 It also comes with wireless data storage which let you access router connected USB device to share your images and screencaps of victories straight form your router, however you need hardware that support it. It also include expanded wireless coverage with 3 removable high powered antennas. It means every nook and cranny in your home is simply accounted for without leaving any blind spot. Its installation is fast and easy with simple menus to configure and it detect your network automatically when you plug it in your cable connection or phone line. R7800 is an upgraded version of R7000. Its USP is 4×4 channel connections that means you get 4 downstream and 4 uploaded pipes. The amount of data pipes, or channels that your router affects how fast your connection will be, especially when downloading or uploading large files. With enough of channels is best for even downloading very large files. Each channel is switched or dedicated around to support whole ecosystem of data. No user will be left in dark, with assurance that ping and performance will be best. Other features of AC2600 include, compatibility with Amazon Alexa/Echo to control network with voice commands. It has WiFi speeds of 800+1733 Mbps. 4 stream i.e. 4×4 WiFi architecture to give smooth 4K video streaming as well as lag-free gaming. It has 160MHz radio to double the bandwidth with mobile devices. A Multi-user MIMO technology gives more throughput. Under the hood is 1.7GHz dual core microprocessor and dynamic QoS to give jitter-free smooth gaming. Network storage ready along with eSATA and superfast twin USB 3.0. Use ReadyCLOUD if you need to access storage from anywhere anytime. The best part is secure access to home services with Open VPN, with Android and iOS app support. Simply it’s a heavy duty thing for users who need premium gaming performance at low price. 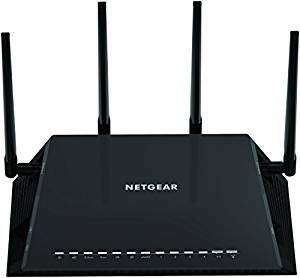 There are not too many cons, and it is one of the best routers out there. ASUS RT-AC5300 is simply an ultimate gaming router, because it gives highest frequency signals as compared to others out there. Its aggressive, sleek design will leave you in awe when you open the box. Its huge amount of antennas simply means that it is far more than just an eye candy. You will get strong signals no matter wherever you are in your home. Just like other great gaming routers, RT-AC5300 is tri-band version with dual 5GHz and single GHz frequencies with latest 802.11 ac standard. It is so insanely strong that it can cover up to 5,000 square feet area. This range of coverage makes it also best for commercial purposes, like bigger gaming zone, institution, office building or warehouse. It is best if you need your peers over for gaming or if you like to share files on LAN. 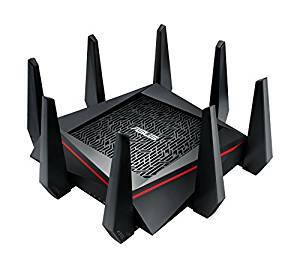 Other great features of this router includes, a built-in access to the WTFast gaming private network for some lower-stable ping times. It also comes with AiProteciton by the Trend Micro to provide unbelievable protection from potential viruses as well as to save your sensitive data. With Smart Connect by ASUS get consistent bandwidths by switching devices between 2.4 GHz and 5GHz frequencies on the basis of signal strength and speed.